See Mr. Teddy Bear today! A poor pup in extremely bad condition was found cowering under a porch. It was obvious he was in the verge of death and needed help really badly. Shaking, starving, and all covered in scabs and lesions, the dog was experiencing pain. Luckily, he ended up in the hands of the amazing staff of Animal Aid who were there to give him a new chance for a better life. 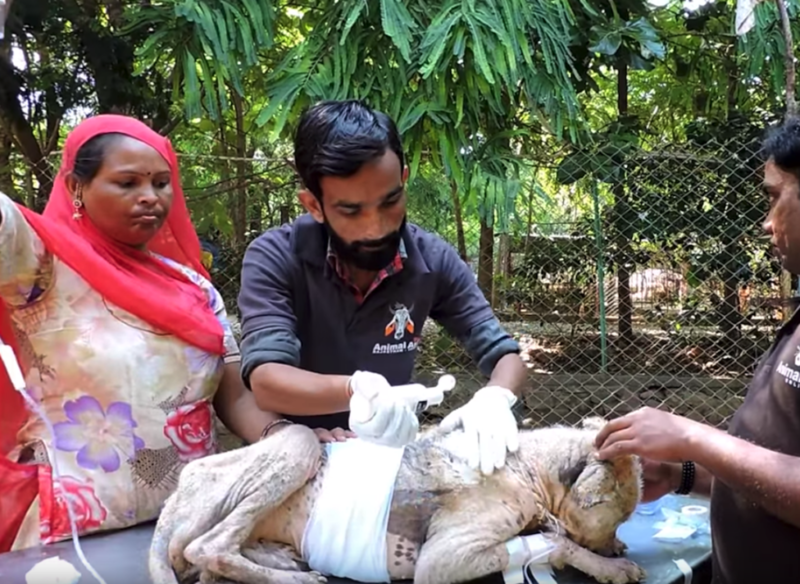 These caring people do incredible things for animals in need, and this time it wasn’t any different. 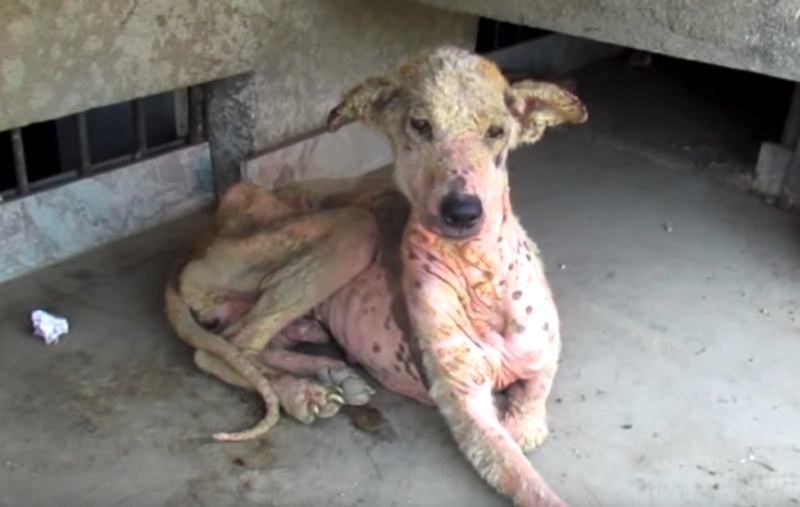 Besides the mange, the pup’s body was full of maggots that had bored a deep hole in his back. His condition had to be treated with medicated powder that would hopefully help kill the maggots. He was also given meds for the infection, and fluids for his dehydration. It took them three days before the dog got the much-needed bath. It’s truly unbelievable how this dog that was days from dying could turn into a healthy and happy canine ready to live a fulfilling life. The once sad dog is now the cuddliest teddy bear with most bubbly personality. It’s time to meet Mr. Teddy Bear and see how love can change someone’s life.